The low cost ultrasonic flow meter is developed on the latest innovation from Abest Technology since 2008. The low cost flowmeter employs cutting-edge technologies by using ultrasonic transit-time measurement, digital signal processing and surface mounting electronics. The low cost flowmeter also provides abundant capabilities for accurate liquid flow measurement from outside of a pipe. The proprietary signal quality tracking and self-adapting techniques allow the system to optimally adapt to different pipe materials automatically. With flow local keys,the ultrasonic flowmeter provides traditional operation ways for setting all parameters,including inputting value. As is known, electromagnetic flow meters usually have 4 keys for local operation. This type ultrasonic flowmeter can be equipped with an optional key board module. The users can either use the RS-485 interface or the display / keyboard interface to program the flowmeter. The transducer installation is also simple and no special skills or tools are required. 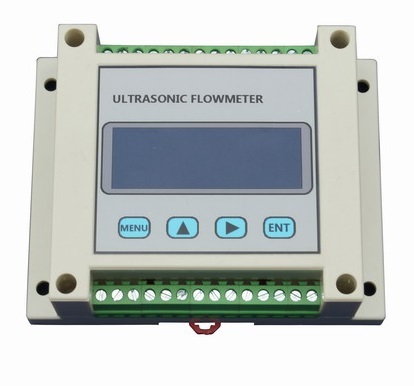 This type ultrasonic flow meter is designed for large quantity, low cost applications. Its unique features, particularly very low cost, very high performance and very small size, make it the ideal choice for industrial automation, processing control, water source management, flow meter networking and OEM applications. 9)Easy clamp-on installing.No pipe cutting and no hole drilling.Save installing cost. 11)Isolated 8-36V DC power supply. 14)Versatile inputs/outputs,including 3 way 4-20mA input and 2 way OCT output(relay output) and one way 4-20mA output. 15)Can support both self-powered and loop-powered mode 4-20mA output. While self-powered used, the power supply must be 24VDC. 16)Isolated RS485 interface with power surge protection. Support Modbus.Well suited for reliable networking. 20) Small size only 90×90×32mm. 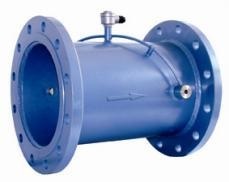 Low cost ultrasonic flow meter is designed for large quantity and low cost applications. Benefited from our innovate network interface technique, the ultrasonic flowmeter is an ideal choice for industrial automation, processing monitoring, water source management, flow measurement networking and OEM applications. The low cost flow meter provides reliable measurement in both clean and opaque liquid flow. •Water, including hot water, chilled water, city water, sea water, etc. •Oil, including crude oil, diesel oil, fuel oil, lubricating oil, etc. •Chemicals, including alcohol, acids, etc. •HVAC, energy measurement system, etc. Note: The blue and white color are available now,please check with us before order if have special request. The default is usually white color enclosure. 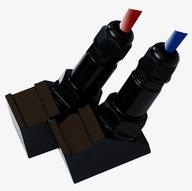 If you have other color requirement, please feel free to contact us.